Prior to the opening of the London Book Fair, one must ask why – in the digital age – such events still exist? The answer is easy: word-of-mouth. London, which has become the world’s multi-cultural capital of cacophony. I can think of no other city — no, not even New York — where you can walk down the street and hear voices speaking in a dozen different languages and half-a-dozen different accents in English, in the course of a single city block. Sometimes, even the price tags here speak three languages: Pounds, Euros and Rubles. London, browsing the bookstores is a treat. To me, it’s like a mirror-world of literature. Many of the titles and authors are the same, but their presentation is slightly different. 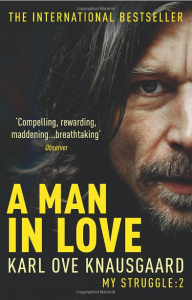 The Knausgaard, for example, is published in a “big book style” paperback, with a fat bold font and full color photographic covers that suggest they deserve shelf space next to celebrity biographies on the shelves at airports. It’s a distinct difference from the US publication by Archipelago, a publisher we profiled on Friday, which opts for an elevated, aspirational house style. Yes, to an American in London; the London Book Fair is publishing with a different accent. And who isn’t vulnerable to being a least a little seduced by a refined English accent? It’s easy to overlook that publishing is a form of communication and not, as in this context, primarily a form of business. The book remains to this day that magical medium that facilitates how a writer from the 17th or 18th or 19th centuries can still whisper in the ear of a reader in the 21st. But why, in the digital age which makes publishing seamless and frictionless and instant, to we need publishing conferences and events? Well, it’s simple: human contact. These gatherings too too are about connecting people in points of time and the serendipitous or surprising or (even) ineffable things that can happen when you get thousands of like-minded book people together. Humans, even ones passionately devoted to the solitary occupation of reading, still feel the need to meet face-to-face, to talk, discuss, debate, gossip and exchange recommendations. 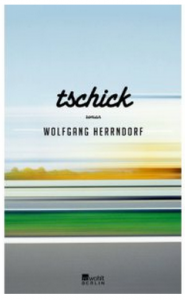 Only yesterday, a German colleague shared with me the tragic story of Wolfgang Herrndorf, the German author who on learning he had a terminal brain disease quickly wrote and published several award-winning bestselling novels, including Sand and Tschick. 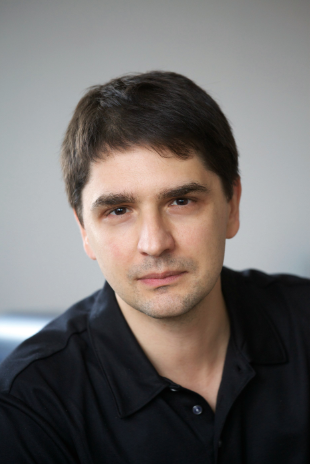 He documented his decline in a widely read blog, Arbeit und Struktur, much of which has also been published, and took his own life last August. It was obvious she was moved by his story. “Someone really should translate the books if they haven’t already.” I had her note down the titles and promised to share them. I immediately tried to buy an ebook edition, but — natch – was blocked by copyright restrictions. Ugh. I suppose I’ll have to pass by Daunt’s, or else try to remember, amid a flood of other forthcoming recommendations, to buy it when I get back home. It appears that despite all the (in)conveniences of digital, the truth remains: there’s just no substitute for word-of-mouth. Tomorrow, April 8, Publishing Perspectives will be offering a special “London Book Fair” print edition of the Publishing Perspectives magazine. You can pick up your free copy at the Frankfurt Book Fair stand at Earls Court 1, Stand F 605 or download it online.